You are always very welcome to wander around St. Matthew’s Churchyard, Lightcliffe which has been restored over the past few years. 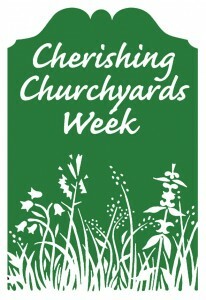 If you can’t visit the churchyard this week, then visit www.lightcliffechurchyard.org.uk and take a virtual tour or trace a family headstone. This entry was posted in Events, Get Involved / Have Your Say, Hipperholme & Lightcliffe, June and tagged environment, Event, Get Involved, Lightcliffe Graveyard. Over 30 stalls selling excellent condition baby and children’s goods at bargain prices. Well-known brands at a fraction of high street prices. Saturday 3 February – 1.15pm to 3.15pm at Trinity Academy, Sowerby Bridge, HX6 2NW. Join the event on Facebook for previews of sale items. This entry was posted in Events, Feb, Sowerby Bridge and tagged calderdale, Event, Halifax, March, Market, Mum 2 Mum, Sale, Sowerby Bridge, Sowerby Bridge High School. 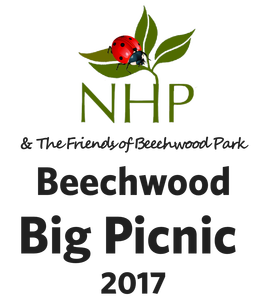 Tombola, raffle, pre-loved stall, refreshments, other organisations and more…. Please feel free to go along and meet them and spread the word! Our Place is a local charity which provides day care at weekends for Calderdale residents aged 50 or over, including transport provision, a two-course meal, refreshments throughout the day, day trips/events and entertainment.They take referrals from individuals, GPs, Health Professionals, Social Services and Families or Carers, and also provide respite for carers, who can bring their cared-for to our centre and then have a day to themselves. This entry was posted in Events, July, Staying Well and tagged Event, july, Our Place, Staying Well, Weekend Care. Something certainly got people talking last week when 41 local residents attended an older people’s information and activity event hosted by Christ Church and Staying Well. The day was all about showcasing the services and activities available for local people in Hipperholme and Lightcliffe, and how the Staying Well Team is available in your area to help you take that first step out of the door. Mostly though it was about fun, meeting people and having a go at something new and the 41 residents attending enjoyed a programme of activities including a gentle exercise class, Tai Chi, new age kurling and an art class demonstration. The Staying Well project helps people to access social and health and well-being related activities in the community. The service is open to any adult over 18 in Calderdale but is particularly focused at people who are already, or are at risk of becoming lonely or isolated people. Joining us on the day were the District Matrons, Hipperholme library and the Home Library Service, the Falls Prevention team and Rowlands Pharmacy offering free blood pressure checks. Over the course of the day people gave their views on what they thought were the main barriers for older people accessing activities in Hipperholme and what gaps in provision there are. Now a group of 6 residents, Cllr Raistrick, Rowlands Pharmacy and members of the Church have decided to get together with the Staying Well team to look at this in more detail over coming months. “People hope for a nice long life and when you’re young you don’t always consider that a long life often comes hand in hand with failing eyes or extra trouble getting around. For older people the availability of local services and activity groups can make such a difference to quality of life. The Staying Well team is also available to support local groups and organisations who want to develop new activities in their area. The team can help with applying for funding and also promoting and publicising your group or organisation. If you would like to get involved, or would like more information, call the Staying Well team on 01422 392767 or email stayingwellproject@calderdale.gov.uk. Additional thanks from the organisers go to the High Five singing group for providing sing-a-long entertainment, and to local caterers, The Village Pantry for a lovely spread. Click to view the photos! This entry was posted in Events, Hipperholme & Lightcliffe, June, Staying Well and tagged Christ Church Hipperholme, Event, Get Involved, June, Staying Well. Friday 30 June from 6 pm. 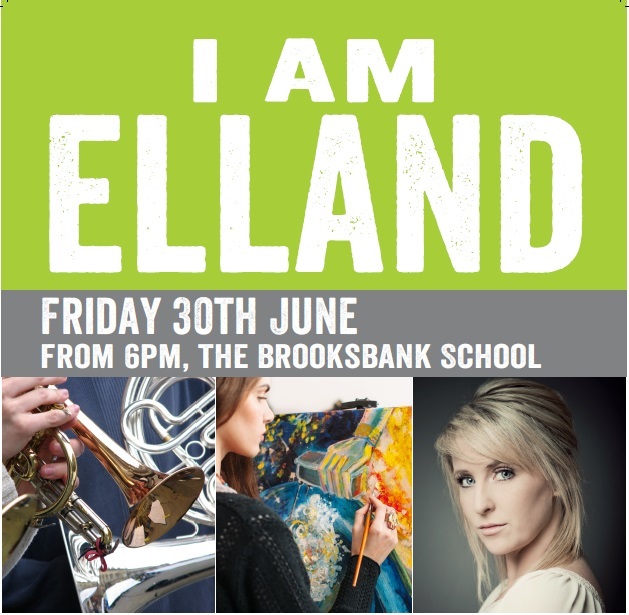 An exhibition of art, photography and writing by students from the school, followed by a celebratory concert featuring local musicians, including Elland Silver Band and Elland Male Voice Choir, headlined by Lizzie Jones. Raising funds for Overgate Hospice. This entry was posted in Elland, Events, Get Involved / Have Your Say, June, Young People and tagged Art, Brooksbank School, Elland, Entertainment, Event, Overgate Hospice, Young People. Now in its fifth year, Routes Festival returns with another day of the best in unsigned and underage music at Orangebox Young People’s Centre, Halifax. Routes Festival provides a platform for young musicians aged 12-24 to showcase their talents on an open and accessible stage. This year Routes will present live music across three stages throughout the day, encompassing a wide range of musical styles – from pop to metal, dance to acoustic. This entry was posted in Get Involved / Have Your Say, June and tagged calderdale, Entertainment, Event, Halifax, Orangebox, What's On, Young People. 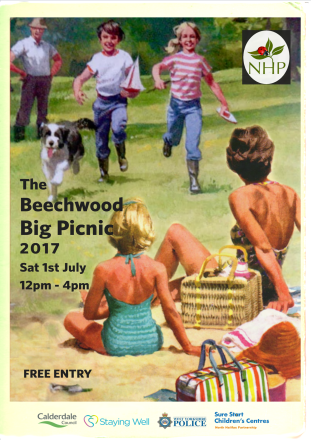 Join North Halifax Partnership and the Friends of Beechwood Park on Saturday 1 July for a great big fun day for all the family. Lots of free activities for children, young people and grown-ups! Join the Vegetable Nannies in their Allotment for a bit of gardening and childcare. Burgers and ice cream for sale. Staying Well tent: Art class taster, Tai Chi taster, Health Awareness, Golf Putting. Learn more about meadows, the plants that are in our meadow and the minibeasts that live there. FREE entry. Most activities are free except for food and ice cream. Limited parking available at Trinity Academy Halifax, HX2 9TZ. Dogs welcome but please keep on a lead. This entry was posted in Get Involved / Have Your Say, July and tagged Entertainment, Event, Halifax, july, NHP Sure Start Children's Centres, Staying Well. 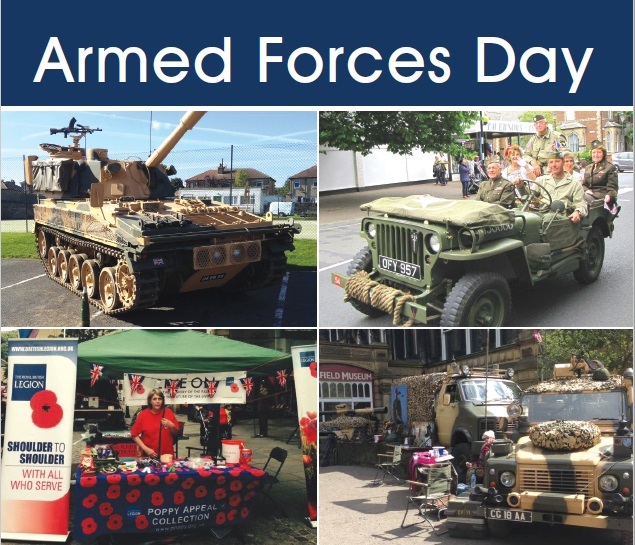 11am will mark the official opening of Armed Forces Week by the Mayor of Calderdale, Councillor Ferman Ali at Halifax Town Hall followed by a parade into the town centre. There will be stalls, military vehicles, equipment, a medical tent and full field kitchen, plus much more. Representatives from the armed forces will be there, so come along and find out more about military life past and present. For more information go to www.calderdale.gov.uk and search for armed forces. This entry was posted in June and tagged Armed Forces Day, calderdale, Calderdale Council, Event, Halifax, June. Enjoy yourself at this free event with stalls, military vehicles, equipment, a medical tent and full field kitchen, plus much more. Representatives from the armed forces will be there, so come along and find out more aboutmilitary life past and present. This entry was posted in Get Involved / Have Your Say, June and tagged calderdale, Event, Get Involved, Halifax, June. This year marks the 700 year anniversary of Elland becoming an official market town. The town received a Royal Charter on 24 February 1317 from King Edward II allowing it to host a weekly market, as well as two fairs a year. 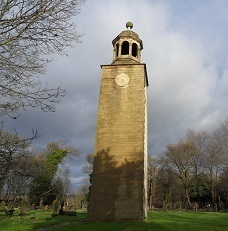 On 15 June 2017 – 14:00 to 17:00 take a short walk around Elland exploring its history with a knowledgeable local guide. Then return to the library to do creative writing inspired by the walk. For more information about this FREE event contact Elland Library on 01422 374472 or email elland.library@calderdale.gov.uk. This entry was posted in Elland, Get Involved / Have Your Say, June and tagged Calderdale Libraries, Creative Writing, Elland, Elland 700, Elland Library, Entertainment, Event, June, walking.